Now considered a fine delicacy throughout most of the world, the crowd-pleasing crustacean has seen darker days. 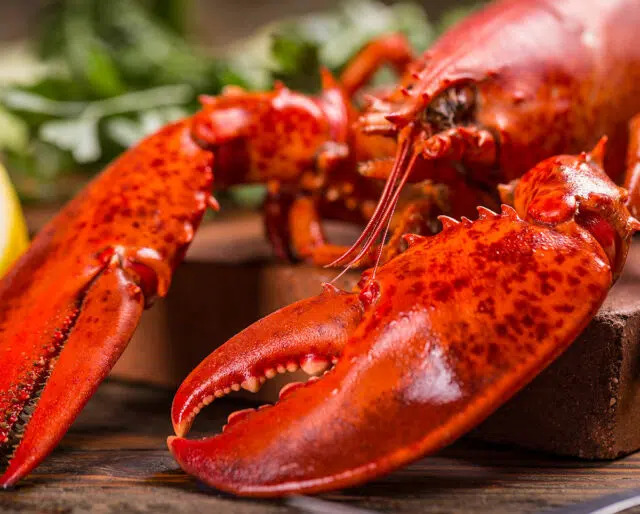 Pacific Standard Magazine writes of a time when “consumers could buy Boston baked beans for 53 cents a pound, canned lobster sold for just 11 cents a pound.” In a time when Maritime New England was practically covered in lobsters, they were a food relegated to prison feed. Lobsters have had quite a journey as a food item. Because rags-to-riches stories are always worth celebrating, on Sept. 25, we observe National Lobster Day! Go check out the Maine Lobster Museum in Bar Harbor, and have some of the freshest lobster of your life up in this crustacean's capital! People have their own preferences, but it's hard to argue that the classic Maine lobster isn't as good as it gets. It might cost a pretty penny, but a lobster feast is a great way to spend a family dinner. It's a fun, interactive eating process, and with all that shell-cracking, there's plenty of time for banter in between bites. No costume shop is complete without a lobster costume, so get on down to your local shop and pick out your shell! Walking down Main Street, you'll have no shortage of funny stares. Embrace it! The lobster's rags-to-riches transformation only came about once a railway started serving the meat as an exotic item to its unknowing passengers. With railroads darting across the country, it didn't take long for word to spread about this delicacy, which was foreign to all but those hailing from the Northeast. While being economical is a praise-worthy skill in its own right, there's something special about splurging, and lobsters make that easy. What's not fun about being fancy? Lobsters grow forever, taste with their legs, and chew with their stomachs. Still not convinced? Lobsters can also regenerate limbs, and can create up to 100 pounds of force per square inch between their clamping claws.